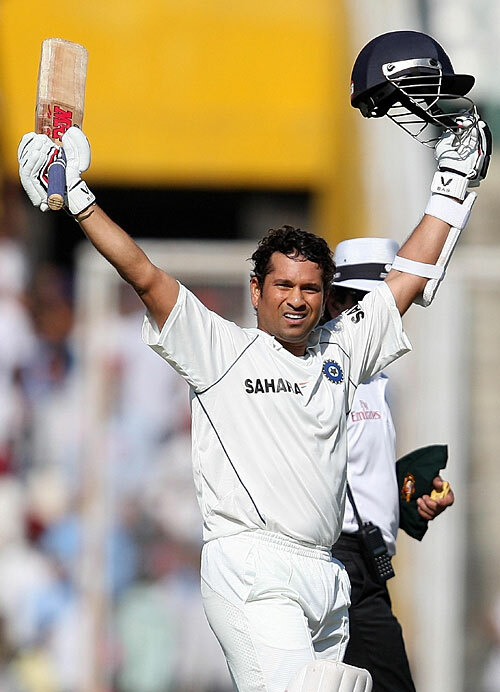 Sachin Tendulkar, India’s cricketing icon and my cricket hero turns 37 tomorrow. For more than 2 decades, this man has been the pinnacle of class both on and off the field. Whether it be his cover drives or square cuts or straight drives or his flicks off his wrists, they are all straight out of the coaching manual. One can watch those shots again and again and still want more. And just so that we don’t feel that his powers are waning, apart from a great year in Test cricket, he also scored a 200* in an ODI last year (insane) and is the Orange cap holder in the current IPL (unbelievable) . So, here is wishing him a very HAPPY BIRTHDAY and hope that he continues to enthrall us in the years to come.